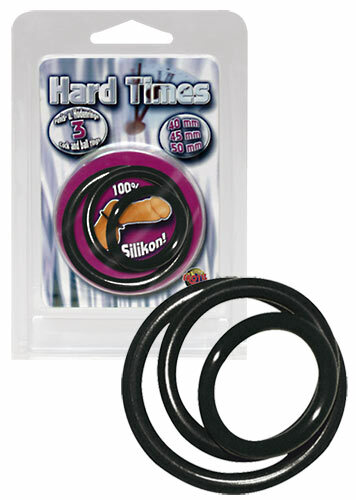 Set of Three Rings Made of very flexible silicon, skin-tight. Thanks to the blood congestion, it enhances and maintains your erection so that you can last longer!!! Ø 4, 4.5 and 5 cm.